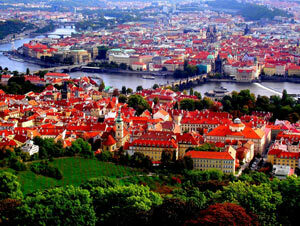 The Czech Republic real estate market brings annual returns of 6-7%. Russians show growing demand for commercial real estate in Germany and the Czech Republic. Russians who buy property abroad have shifted their priorities, purchasing income-generating foreign real estate not for leisure and lifestyle reasons as before, but more often as a means for hedging capital during a time of economic instability at home. International broker Tranio saw a 5 percent increase in the number of bids for commercial real estate on its site in the first half of 2015, with the overall share of such bids rising from 9.5 percent to 11.3 percent. At the same time, the total number of bids for all three types of real estate fell by 11 percent over the same period. Among the countries popular among commercial real estate buyers, demand increased most for income-generating properties in Germany, the Czech Republic and Hungary, rising 32 percent, 31 percent and 23 percent respectively. The JLL company concurs, noting that domestic and foreign investment in income-generating residential real estate in Germany rose more than 2.5 times, from 6.5 billion euros in the first half of 2014 to 17.5 billion euros in the first half of 2015. In addition, Google searches using the words "commercial real estate in Germany" and "income-generating residential buildings in Germany" produced 23.8 percent and 75 percent more results respectively for the same period. Germany, the Czech Republic and Hungary offer specific advantages that account for the growing demand for real estate in those markets. Germany attracts investors with its combination of low risk and favorable rate of return: rental properties yield a 5–6 percent return on investment and investment capital yields 8–10 percent after the cost of loans. Another factor driving demand is the growing value of German real estate. With residential property prices rising by more than 25 percent from the first half of 2010 to the first half of 2015, investors will see their acquisitions rapidly appreciate in value. Germany also attracts investors with its advantageous mortgage system by which borrowers can obtain loans equal to 60 percent of the value of the property while paying only 2 percent interest per annum. Russian demand for real estate in the Czech Republic is traditionally strong. The local market offers strong yields of 6–7 percent and, at 2,000 euros per sq. m., real estate in the Czech Republic is still undervalued and less expensive than in neighboring countries such as Austria, where prices average 4,000 euros per sq. m., and Germany, where the price stands at 3,000 euros per sq. m. That makes it possible for investors to acquire more real estate in the Czech Republic and to obtain a greater yield than in Western European countries, and at far less risk than in Russia or Ukraine. With real estate costing an average of only 1,000 euros per sq. m. and gaining in value over time, Hungary offers investors an interesting option for purchase and later resale as compared to the more expensive Western European markets. Investment yields in Hungary average 5–8 percent per annum. The country is also attractive due to its policy of issuing residence permits to anyone investing 250,000 euros or more in government bonds. Investors have shown a declining interest in income-generating properties in Austria, Latvia and Spain over the same period, with demand dropping by 36 percent, 32 percent and 11 percent respectively. Austria provides a lower rate of return than neighboring Germany and is largely a closed market dominated by local players. As for Latvia, Russian demand has fallen sharply there since it became more difficult to obtain residence permits in return for investment, and also due to the already higher risks compared with Western European countries. According to activity at Tranio, 32 percent of all commercial real estate bids were for hotels, followed by 16 percent for shopping centers, 13 percent for income-generating residential properties and 12 percent for retail premises. Applicants also placed bids for restaurants, investment projects, offices and warehouses. According to JLL, demand in the hotel segment grew by 55 percent in the first half of 2015, reaching 37 billion euros. The Tranio study "Russian investment in foreign real estate" found that Russian investors prefer buying ready-made businesses and receiving passive income rather than starting businesses from scratch and managing them independently. 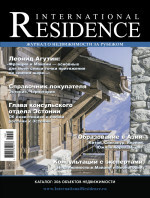 Russians typically purchase commercial properties costing under 500,000 euros while harboring higher than usual expectations for the returns, often expecting average yields of 6 percent per annum in the residential real estate segment and of up to 10 percent per annum in the commercial segment. Demand for commercial real estate is growing not only among Russians, but also among investors around the world. According to CBRE, total investment in income-generating properties reached 56 billion euros in Q2 2015, up 15 percent from Q2 2014, while investment in that market more than doubled during that period in Spain, Portugal, Finland and Norway. Great Britain and Germany saw the greatest investment of funds in that segment, the former increasing by 10 percent from 16 billion euros in Q2 2014 to reach 17 billion euros in Q2 2015, and the latter increasing over the same period by 62 percent from 5 billion to 12 billion euros. Meanwhile, investment in real estate in the Czech Republic declined by 8 percent, from 381 million to 352 million euros during the year. The Russian demand for commercial real estate in Europe is almost certain to increase in late 2015-early 2016 as investors seek to protect their capital from domestic risks.